Coltsblood are a band from the United Kingdom that plays a mixture of funeral doom, drone and sludge and this is a review of their 2013 ep "Beyond The Lake of Madness" which was released by Ulthat Records. "Abyss Of Aching Insanity" begins with some dark sounding guitar riffs along with some drone style bass guitars in the background and after awhile the music gets heavier along with some drums and sludge style screams and the bass guitars become a lead instrument along with some amplifier distorted sounds and after a few minutes there is a brief use of funeral doom metal style guitar leads and a few minutes the song head into a drone direction. "Beneath Black Skies" begins with some heavy bass guitar riffs and amplified distortion and after awhile the drums and vocals start making their way into the song and a few minutes later their is a brief use of guitar leads before going into a more heavier sludge direction and as the song moves on there are some doom/death metal growls being utilized in some parts which leads to more guitar leads coming in and out along with the song returning to its sludge roots and towards the end amplified drone sounds make their way into the mix. Song lyrics cover dark myths, legends and history, while the production has a very dark, heavy, raw and primitive sound while you can still hear all of the musical instruments that are present on this recording along with the songs being very long and epic in length. 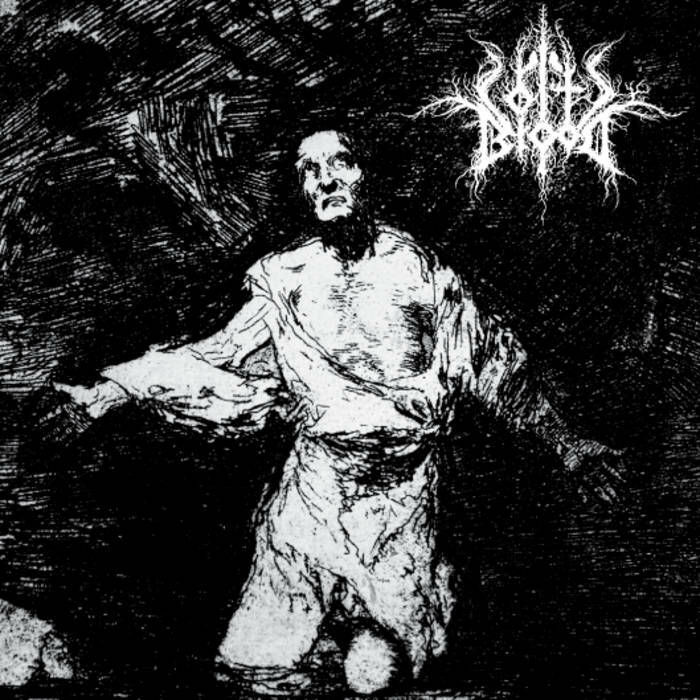 In my opinion Coltsblood are a very great sounding hybrid of drone, funeral doom and sludge and if you are a fan of this musical genre, you should check out this band. RECOMMENDED TRACK "Abyss Of Aching Insanity". RECOMMENDED BUY. 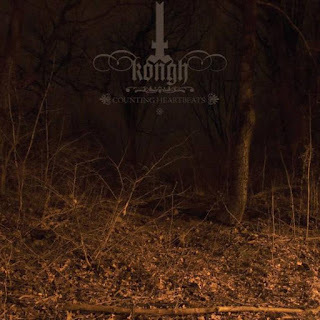 Kongh are a band from Sweden that plays sludge/doom metal with some black metal elements and this is a review of their 2007 album "Counting Heartbeats' which was re-issued by Agonia Records and also contains their 2006 demo as well as their song from a 2008 split with Ocean Chief. "Pushed Beyond" begins with some dark and clean guitar playing and a minute later drums start finding their way into the mix when then lead to some heavy doom metal guitar riffs along with some bass in the background setting up the mood for some death metal style growls and as the song moves on it starts getting more upbeat at times while also remaining true to the doom and sludge elements before the bass guitars take over for a few seconds before kicking back into guitar riffs and adding in some melodic vocals.which also starts getting more aggressive and evolving towards a sludge sound towards the end along with a psychedelic sounding guitar lead which also takes the music into a cleaner direction briefly before closing with some black metal influences. "Counting Heartbeats" begins with some heavy guitar riffs, drums and blackened doom metal growls and screams which also utilize some melodic elements as the song moves on and around the 3 minute mark the guitars vanish for a bit so the bass can take over which also mixes in clean guitars and stays in t hat direction for awhile before the heavy guitar riffs make a comeback along with some melodic vocals which also mix in aggressive elements to the singing and evolving more into sludge after awhile as while t he riffs getting more diverse and heavy before going more into a cleaner direction. "Adapt The Void" begins with some 70's style metal bass guitars which then leads to some drums kicking in as well as some clean guitar playing and a few minutes heavy guitar riffs start making their presence known setting up the mood for some aggressive vocals and staying in that direction for a few minutes before reverting back to the cleaner elements and adding in some powerful bass playing and the song stays in that direction for a few minutes before the heaviness makes its comeback. "Megaprimatus" begins with some clean guitar playing for the first couple of minutes before heading into heavy guitar riffs and drums which them leads to the song switching back and forth between clean and distorted parts, and around the 6 minute mark aggressive vocals make their presence known along with some melody getting mixed in the heavier parts and the song closes with some heavy distortion. "Zihuatanejo" begins with some middle eastern style guitar leads which also mix in rhythm gutiars and drums setting up the mood from some aggressive vocals and after awhile the song starts adding in some clean post rock elements as well as switching back and forth between clean and heavy parts while also adding in new elements all at the same time and as the song moves in the guitar solos make a brief comeback. "Zihuatanejo 2006 demo version" sounds almost like the newer version but utilizes a little bit more drums as well as some faster playing that was that present on the remake. "Adapt The Void (Demo 2006 version)" sounds like the remake but has a more primitive sound to it. "Turn Into Dust" begins with some tribal sounding drumming which leads to some clean guitar playing and after awhile powerful bass guitars make their presence known before heading into a heavy guitar riff which sets up the mood for some aggressive vocals that also utilize some melodic stoner rock elements as the song moves on. "Thunders Collide" begins with some clean guitar playing which leads to the drums as well as heavy melodies kicking in which sets up the mood for some aggressive vocals as well as the riffing getting alot heavier as well as adding in more diverse guitar riffs throughout the song as well as some melody. "Drifting On Waves" begins with some nature and drone sounds which also set up the mood for some heavy bass guitar, drums and regular guitars and after awhile melodic vocals make their presence known and start mixing in more aggressive elements as time goes by, around the 10 minute mark the song goes into a cleaner direction for about 5 minutes before returning to its heavier roots for awhile before making switches back and forth between clean and heavier parts while also mixing in some slide and lead guitars. Song Lyrics cover dark themes, while the production has a very strong, powerful, heavy, dark and professional sound where you can hear all of the musical instruments that are present on the recording along with the songs being very long and epic in length. 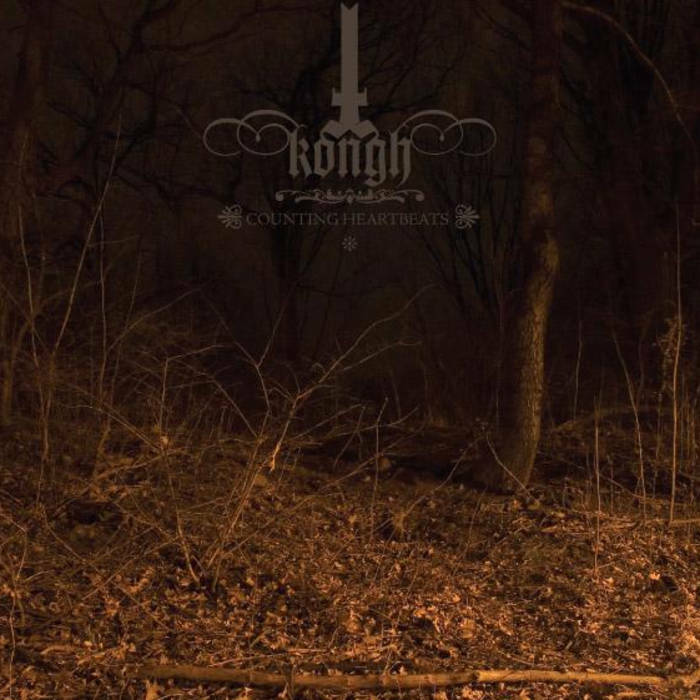 In my opinion Kongh are a very great sounding sludge/doom metal band and if you are a fan of this musical genre, you should check out t his album. RECOMMENDED TRACKS INCLUDE "Pushed Beyond" "Adopt The Void" and "Thunders Collide". RECOMMENDED BUY.